Since 1929 Lord Somers Camp has been running personal and leadership development programs that benefit the community. Our original goal was to introduce young men to their peers from different backgrounds and promote social cohesion and heal divisions within our society. 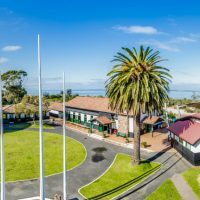 Following the success of Lord Somers Camp for boys, Power House was established as a Melbourne base for the men of Somers to engage in the community, this predominately took place with the formation of the Power House sporting clubs. Although we are no longer directly affiliated with these sporting clubs many of them still carry the Lord Somers Camp and Power House logo and colours. Our organisation made a significant shift in 1986 when we instigated Lady Somers Camp, which provides young women with a similar experience to the boys camp. The success of Lady Somers Camps prompted our organisation to expand our reach and develop programs and activities for various community groups. We now provide programs in partnerships with Very Special Kids, Mirabel Foundation, Sudanese Integrated Learning Program and many more. 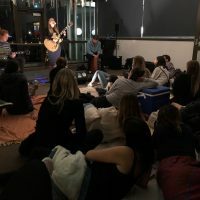 Today we offer a range of life-changing experiences to people from all backgrounds, cultures, ages and locations and continue to run programs that help develop people of all ages. Today is a Red Letter Day in the lives of many past a present members of the Somers Camp and the Power House – the twin organisations founded by Lord Somers while Governor of Victoria. In the following article, Lord Somers, who has returned to take part in the life of the Camp which opens today, described its origin and aims, and gives a full account of the ideas which inspire this movement. “Our camp at Somers opens today for this season and I am glad to have this opportunity of explaining at some length the purpose and ideas behind this movement, and of our hopes and aims for the future and for what may come if it in the years ahead. The Camp which bears my name has its origin in a movement that was begun in 1921 when the Duke of York started his summer camp for boys at Littlestone Aerodrome in England. 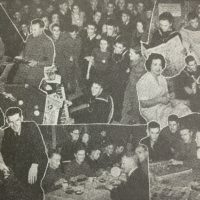 These camps where in the nature of a social experiment – the Duke’s original idea being to use camp life as a means of bringing together boys already engaged in earning their own living with other boys of their own age, but differently brought up and looking forward to different careers, and who had not yet started on their life work. His hope was that by joining for a short time, while they are still young, in intimate companionship, and living together and in sport and games, the two sets of boys might become one set, with a common understanding, and with mutual appreciation of each other. There were no more ideal circumstances than camp life for such an experiment. The boys played together, fed together, sang and bathed together, slept in the same quarters, living all day and in everything on an equal footing, and with no thought of artificial social distinctions. Well, that experiment proved to be a tremendous success, and though begun on a small scale it soon grew and developed. Ten years later it had become an important factor in the life of the country. It was seen that the Camps were breaking down the wall and bridging the gulf by which the boys were normally supposed to be divided. It was found that these divisions melted away under the atmosphere of camp life and, thanks to the loyal and public spirited cooperation of the boys themselves, the whole thing became an unqualified success. I have been deeply interested in this movement and, as is well known, during my term as Governor of Victoria I was able to get a similar camp started here – I am glad to say with equal success.